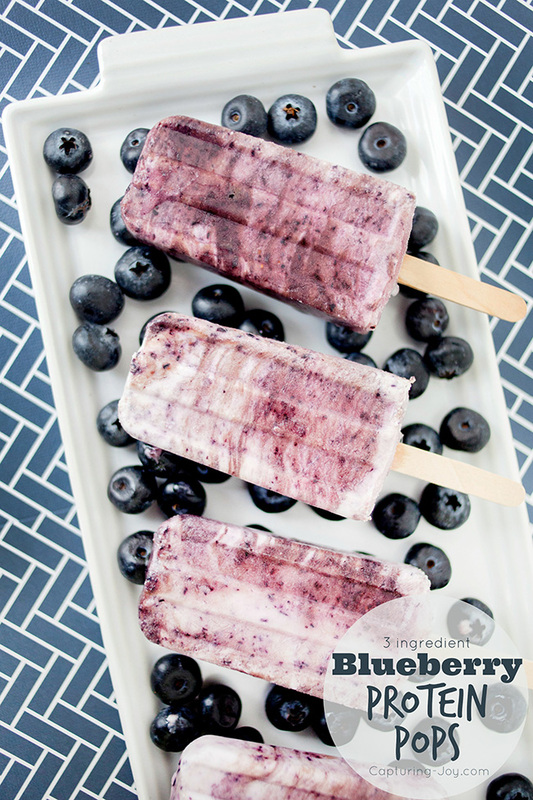 This 3 ingredient Blueberry Coconut Protein Pops recipe is a fresh and delicious easy summer treat to whip up in minutes, then wait while they freeze. 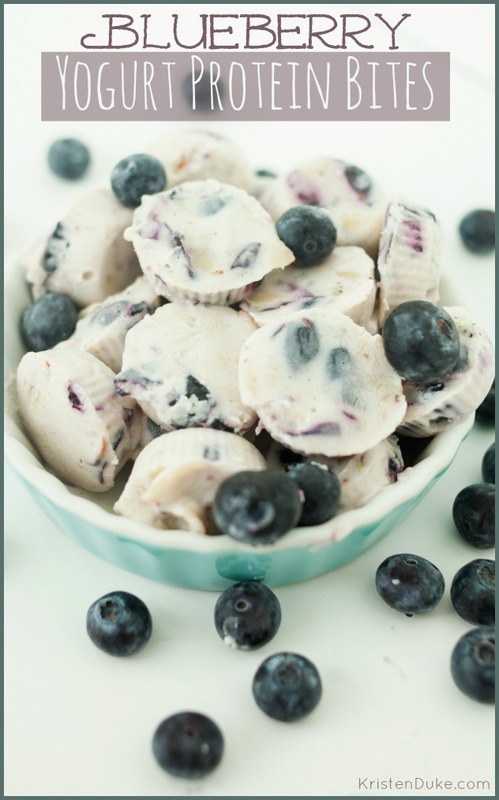 I thought I’d try them after the Blueberry Yogurt Protein Bites were such a big hit, this is a variation! 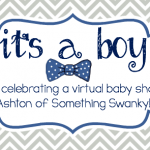 I’m sharing this fun BLUE recipe as part of a little virtual blogger baby shower for my friend Ashton at Something Swanky, who is having a BABY BOY pretty soon! 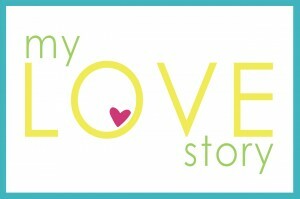 Make sure to check out the links below for more great dessert recipes! 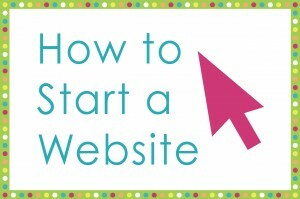 But for now, let me tell you about the simplicity in this recipe. You can mash the blueberries by hand, but I put them in my blender to make them nice and smooth. I still like some chunks, so didn't make it full liquid. Mix yogurt with coconut milk, stir well. 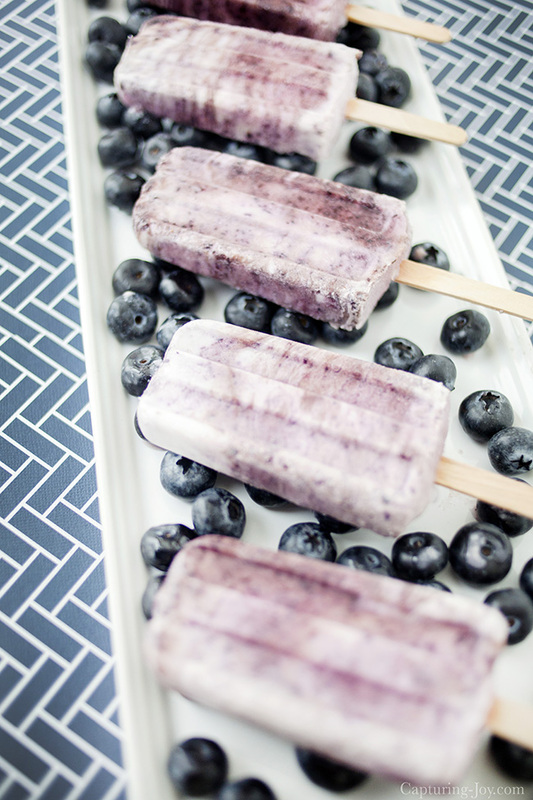 Freeze 30 minutes, then put popsicle sticks inside. My popsicle mold hold about 10 pops. 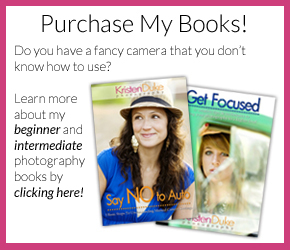 Check out the other recipes served at Ashton’s virtual shower today! 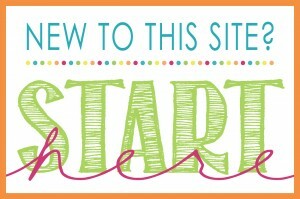 Hop on over to those sites to see more! 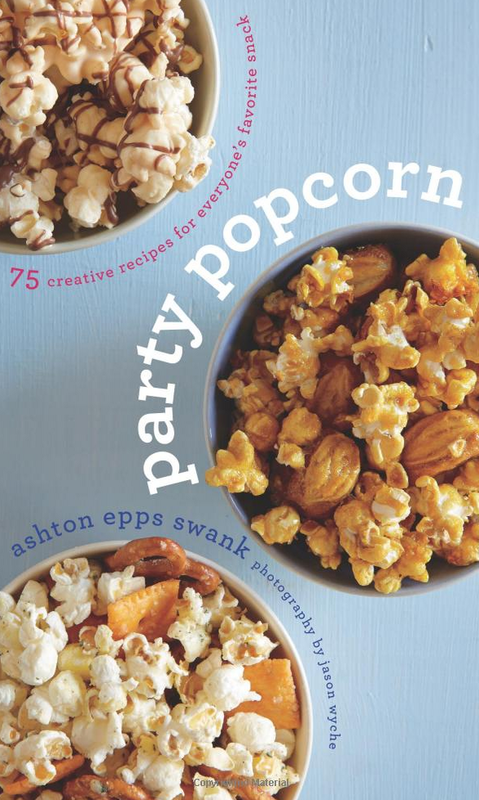 Ashton also has a fabulous book, Party Popcorn, that has 75 creative recipe for everyone’s favorite snack, check it out on Amazon!